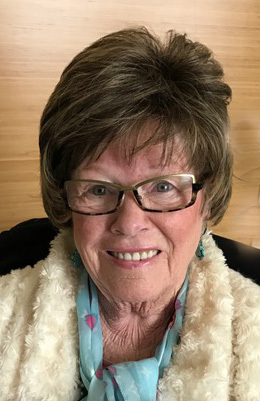 Obituary for Dianne Hayes | Hartzler-Gutermuth-Inman Funeral Home Inc.
Dianne Hayes, 76, of Elkhart, died on Sunday, November 18, 2018 at Greenleaf Living Center in Elkhart. Dianne was born December 14, 1941 in Ipswich, Suffolk, England to the late Walter and Brenda Harper. On August 31, 1959 she married Dorman C. Hayes in Ipswich, England. He preceded her in death in 2008. She moved with her family to America in 1961 and made this country her home. Her children and grandchildren were her pride and joy; and they have been blessed with her constant love and care all their lives. Mrs. Hayes is survived by her children, Julie Hayes and Lisa (Richard) Lebold of Elkhart; grandchildren Eric (Miranda) Lebold and Gregory (Kendra Zache) Lebold; great-grandchildren, Emersyn and Tayden Lebold; sister Jill (Patrick) Miller of England, nephews and nieces, Jonathan & Kathleen Miller and Teresa & Fraser Spence. Thank you to Sue Junghans, Benitta Hermann and Sonya Fearnow for being so much more than friends. You are truly family and your faithfulness will be forever appreciated. Thank you to Greenleaf Health Campus and the amazing staff that have cared so graciously for our precious mother/grandmother the last two years. And to Heartland Hospice, you have been true angels here on earth. Mom seemed to flourish under your watch. We were given a summer of giggles and God’s special blessings as we shared her walk home with you. Private family services have been entrusted to Hartzler-Gutermuth-Inman Funeral Home. In lieu of flowers the family requests that memorial donations be made to Heartland Hospice 826 W. Edison Road, Mishawaka, IN 46545.